Subtitle: Now that polls show John Kerry winning the first two Presidential debates, the time has come to examine what we might expect from a President Kerry. Both Edwards and Kerry have dropped hints as to the kind of Presidential Administration they will establish; additionally, Kerry's record will complete our understanding as to what kind of administration he will run. You may be surprised as to what we discover. Copyright © 2004 Cutting Edge Ministries. All rights reserved. See full copyright notice below. To a very large extent, all Conservatives know what to expect from a John Kerry Presidency. Since Kerry is the prototypical Liberal Democrat in the Bill Clinton - Ted Kennedy template, people expect a blatantly pro-abortion, pro-Stem Cell research and development, pro-Big Government, and a tax-and-spend President. To a large degree, they are correct; however, a big, unpleasant surprise may be on the horizon. 1. Just as the Bible states, surface politics is driven by hidden spiritual forces (Revelation 17:12-17). The Illuminati Plan has been carefully constructed, but it exactly conforms to Biblical prophecy -- just as Isaiah 34:16 and Revelation 17:12-17 foretell. God's prophecies are forcing the Illuminati to create plans which exactly fulfills prophecy. 2. 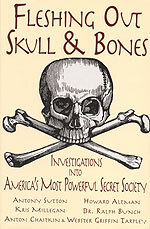 Both President Bush and Senator John Kerry are members of the Illuminist Skull & Bones secret society, a very Black Magick, Masonic society. Daniel 8:23-25 foretells that the religion of Antichrist is Black Magick Witchcraft (Explained in NEWS1876). Further, Daniel 7:7-8 tells us that Antichrist will be of the same religion as the final 10 rulers of the earth, since he is "another horn" (of the same type) arising after the final 10 kings of the earth (NEWS1002). The world was reorganized into 10 economic super nations between 1992-1996, with NAFTA as Nation #1. The final 10 rulers are on the scene now, with the American President serving as the de facto head of NAFTA. 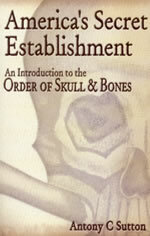 If Antichrist is prophesied to practice Black Magick Witchcraft and if that is the prophesied religion of the final rulers of the earth, it is highly significant that both President Bush and Senator Kerry are lifelong Adepts in that terribly Black Magick satanic secret society called Skull & Bones. 3. 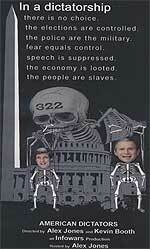 Therefore, Kerry is just as committed to the coming New World Order (Kingdom of Antichrist) as is Bush. The only difference will be emphasis. 4. Even though "Republican" and "Democrat" are merely meaningless labels (NEWS1451), each party does fulfill very different functions for the Illuminati as they continue their drive for the One World Government, Economy, and Religion. Whenever the One-World Plan plans for the changes for the next 4 years to be in Foreign Policy, the Illuminati causes a Republican to ascend to the White House. However, if the Plan calls for a Domestic Agenda for the next 4 yeas, a Democrat ascends to the White House. Therefore, whoever is slated to win this election depends upon whether the policies of the next 4 years are planned to be primarily Foreign Policy or Domestic. 5. You must break out of your "Mental Box" if you have any hope of understanding these issues of the day. Vance Packard stated in his 1977 book, "The People Shapers", in his Introductory section comments that the objective of the coming mass control over people is to control them by methods so sophisticated that the people would not know they were controlled. No one would "ever be aware of their loss of personhood". Today, people have been told from elementary grades by our Public School system what to think and how to think and how to trust their government and Mass Media. Therefore, most people have had a "propaganda box" constructed within their minds which keeps them from ever discovering the truth. While Cutting Edge does not recommend that you watch movies, one movie which might help you understand the mental propaganda box which has been constructed in most people's minds through Public Education is "The Truman Show" with Jim Carey. If you are ever to successfully understand this election campaign and the state of national and world affairs, you must "break out of your propaganda box" (NEWS1558, "Breaking Out of the Propaganda Box -- Learning To Think In The Opposite Direction To Find The Truth".) Truly, this election is one occasion in which you need to critically "think outside the propaganda box", for the truth does lie in the exact opposite direction in which we are being pointed by the pundits operating within a system (Mass Media) designed to deceive. Vice Presidential Candidate, John Edwards, has told us a planned major area of emphasis in a Kerry Administration. Once you understand what Edwards is truly saying, you have every right to be terribly concerned. Unfortunately, most people slumbered right straight through Edwards' comments, because they have not done their homework well enough to know the immense evil lurking behind these seemingly bland words. Edwards has promised to more forcefully enforce the provisions of Patriot Acts I and II, plus all the dozens of laws pass to supplement these two laws. You have to listen carefully, but when you do listen carefully, his meaning is clear: Bush has not aggressively enforced the provisions of the Patriot Acts I and II, but Edwards promises that a Kerry Administration will more vigilantly apply them. "Ifill: New question, similar topic, because I want to circle back to a question which I'm not quite certain we got an answer to. But I will direct it to you first, Senator Edwards ... It's a question of American intelligence. If this report that we've read about today is true, and if Vice President Cheney ordered it and asked about this, do you think that, in the future, that your administration or the Bush administration would have sufficient and accurate enough intelligence to be able to make decisions about where to go next?" "Edwards: This, unfortunately -- what the vice president is telling people is inconsistent with everything they see every single day. It's a continuation of, Well, there's a strong connection between Al Qaida and Saddam Hussein. It's not true. It's a continuation of at least insinuating that there's some connection between 9/11 and Saddam Hussein. It's not true ... If we want to do the things that need to be done to keep this country safe, we can't be dragged kicking and screaming to it. "One thing that everybody does agree on is that 9/11 did change things. But what's happened is this administration opposed the creation of a 9/11 Commission to find out why it happened and what we needed to do. They opposed the creation of a Department of Homeland Security, and then they were for it. We can't react that way. We must be more aggressive. With John Kerry as president of the United States, we are committed to immediately implementing all of the reforms suggested by the 9/11 Commission, so that we have the information we need to find terrorists and crush them before hey hurt us." Did you catch the terrible promise? Before we point it out, let us clear up several points of difficulty first. This question from Moderator Ifill had a several facts wrong in just the way it was stated. First, it pre-supposes that the 9/11 attacks occurred because of a massive failure of American Intelligence. When Moderator Ifill asks the question in this manner, and when Edwards begins to answer the question, Democrat Edwards has just placidly accepted the Bush Administration's explanation of the attacks, i.e., that 18 Muslim terrorists armed with boxcutters carried out a sophisticated operation, high jacking four American airliners, and expertly flying them into the WTC and the Pentagon. All of these questions are swept under a bipartisan rug by the manner in which Ifill asked this question and the manner in which Democrat Edwards answered. Thirdly, the manner in which the question was stated implied that a Kerry Administration would have been more interested -- or more capable -- of reacting quickly enough with the intelligence at hand prior to the attacks to stop the attackers in their tracks. However, we know that Kerry is just as committed to this New World Order Plan as is Bush, so Kerry would have taken essentially the same actions as did Bush. This was an Illuminati Plan, and therefore, would have been carried out by whomever was President at the time. However, because the years 2000-2004 required a Foreign Policy emphasis, the Republican went to the White House. Fourthly, while Bush may have originally stated his opposition to Homeland Security, he quickly swung into action. He named Tom Ridge, Governor of Pennsylvania, to be its director; and, Ridge lost no time redefining who a "terrorist" is. Before Ridge even left for Washington, he had redefined "terrorist" to be any American citizen whom the Administration wanted to target. Read NEWS1553 carefully, for you will see the seeds of a dictatorship against average American citizens clearly hiding within this redefinition. But, now a Kerry Administration will be even more aggressive! I have long suspected that, just perhaps, the Plan called for the dictatorial laws to be placed on the books by one administration and then enforced by the next. In this case, the Republican Administration. overly concerned with the Foreign Affairs inherent in invading the two countries blamed for the attacks -- Afghanistan and Iraq -- would not enforce the domestic dictatorial laws. Rather, a Democrat Administration might then come to power, being overly concerned with Domestic Policy; in this case, it would be concerned with really figuring out who is a criminal terrorist by Ridge's redefinition of the term. If a strong terrorist attack were to occur after a Democrat Administration took office, the situation would then be set for full implementation of these draconian laws. Now, let us examine what Edwards really meant when he criticized the Bush Administration for not aggressively pursuing the dictatorial aims of Homeland Security, the Patriot Acts which were passed to support this organization, what is meant by " implementing all of the reforms suggested by the 9/11 Commission", and the comment about finding terrorists and crushing them. The average American does not know enough to be scared; if you do not know Jesus Christ as your Lord and Savior, you have every right to be terrified by the actions planned to occur so Antichrist can get on the world scene. We have posted the following articles on Homeland Security since 9/11/2001. Please take a few moments to read them thoroughly so you will understand that this organization is really the modern-day equivalent of the Nazi German Gestapo. Just as the "Illuminazi 9/11" video states, the attacks of 9/11 and and subsequent events have their historical precedent in the Nazi Gestapo. Further, as we note in NEWS1004, this entire New Age - Illuminist drive to the New World Order is really Nazism revived. NEWS1739 - WE CAN NOW SEE THE HIDEOUS, OCCULT FACE OF PRESIDENT BUSH'S HOMELAND SECURITY AGENCY, THE U.S.A. PATRIOT ACT AND ALL OF ITS SUPPORTING LAWS! Once you properly comprehend the danger Homeland Security poses to all of us, and how its actions will fulfill Revelation prophecy, the more clearly you will see the stark danger into which Edwards is placing us all by his statement that a President Kerry Administration will more aggressively implement Homeland Security. In earlier newsletters, we have noted that this commission was set up to be a whitewash panel, designed to absolve the Bush Administration from any failure concerning the 9/11 attacks on the one hand, while allowing the Illuminati the capability of moving the country to the next step of intimidation and coercion. Once again, the average American does not know enough to be alarmed. Secondly, this 9/11 Commission was comprised either of top-level CFR members or academia whose universities are highly dependent upon government funding to survive year-to-year. It was obvious from the start that no objective truth was going to come out of this Commission. In Newsletter for July 31, 2004, we noted that the Kerry campaign immediately noted that the President could implement 25 out of the 41 recommendations of the 9/11 Commission (Story VIII). Bush said he would immediately implement them via Executive Order. The Congress would have to implement the remaining 16 recommendations. Later in this article, we shall tell you of some of those recommendations so you will truly know how evil this Illuminati Plan for America is and how identical the Kerry position is to that of Bush. Thirdly, the 9/11 survivors group so doggedly pursued the 9/11 Commission for the stark truth that, when the whitewash report finally came in, almost 50% of all New York City residents and 41% of all New York State citizens had been firmly convinced that government officials had foreknowledge of the 9/11 attacks and did nothing to stop them (NEWS1956). 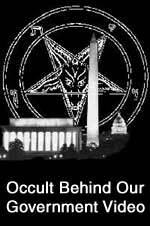 In the immediate aftermath of the 9/11 attacks, we noted that the entire attack contained an "occult signature" which identified it as the event designed and carried out by the Illuminati in order to move their New World Order into the decisive phase. As early as October-November, 2001, we were warning that the "official answer" to fighting terrorism would be to enact laws that would propel the average American citizen into a dictatorship. We also noted, on October 5, 2001, that the Bush Administration lost no time re-defining who the government considers to be a terrorist. NEWS1560 -- "NBC NIGHTLY NEWS PROCLAIMS NEW WORLD ORDER TONIGHT, OCTOBER 11, 2001!" NEWS1567 -- "ANTI-TERROR LEGISLATION -- RUSH TOWARD DICTATORSHIP" -- Occult Signature Visible on Votes of Both House and Senate "666"
NEWS1571 -- PROPAGANDA PRINCIPLE: FEAR OF CONFLICT IS NEARLY AS EFFECTIVE IN PRODUCING DESIRED CHANGE AS ACTUAL CONFLICT!" Now that we have covered this background, let us review a current news story to see exactly how a more aggressive Kerry Administration will pose a most terrible threat to the "Life, Liberty and Pursuit of Happiness" of the average American. "The Bush administration’s allies in Congress, led by J. Dennis Hastert of Illinois, the speaker of the House, have launched another assault on constitutionally protected civil liberties with a bill many are calling Patriot Act II (PA II). However, it is not to be confused with the 2003 version of Patriot Act II. But according to the Associated Press, in a draft of the House GOP legislation, many of the provisions are similar to the draft copy of the 'Domestic Security Enhancement Act of 2003' that leaked out of the Justice Department in January 2003 .. House Democratic leaders and civil liberties advocates said on Sept. 22 that the Republican bill ostensibly responding to the findings of the 9-11 commission would go well beyond the panel’s recommendations ..."
Did you catch that last statement? This bill would use the 9/11 Commission's recommendations as a basis for this new dictatorial law, but would go well beyond them. This is the practice of the Illuminati, and it does not matter on whit whether Skull & Bones Kerry is President or whether Skull & Bones Bush is re-elected. The plan for a dictatorship in this country will move forward. Listen to some of the provisions of this bill, and ask yourself whether a genuinely Born Again President, leading Republican legislators, would ever support such legislation. "What would Jesus do?" might be a very good standard by which to judge these provisions. * "... deportation of aliens who are suspected of being linked to foreign revolutionary groups which have been labeled as terrorists" -- Note the word, "labeled". 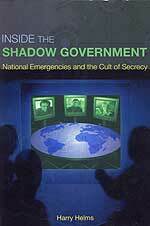 As Tom Ridge so succinctly stated in October, 2001, a terrorist now is anyone who disagrees with the government! Also, a label denotes a judgment being applied without the requirement of rigorous evidence. * "... mandatory pretrial detention for terrorism suspects"
* "... warrants against non-citizens even when a target can’t be tied to a foreign power." * "... enhanced penalties for threats or attempts to use chemical or nuclear weapons." So far, no one is going to lose a whole lot of sleep because of these provisions, because naturally-born American citizens are still protected. Right? Dream on! "... critics warn that the proposed law is aimed against the entire U.S. population, not a minority of Arab immigrants." Listen to these provisions of this bill, and shudder in your boots. Our worst-case scenario is about to occur, and the perpetrators are Republicans -- not Democrats -- who are allied with "Christian" President George Bush. These are the really dictatorial laws contained within this bill. * "The proposal, they say, would grant the government the power to strip citizenship of native-born Americans and deport them without any evidence of wrongdoing, even though this would be contrary to the Constitution." * "It would also allow for secret arrests, secret trials and secret torturing of 'suspects'. Those of you who examined the brutal methods by which our armed forces tortured suspects at Abu Ghraib and Guantanamo Bay in a detached manner because it was not happening to you, must now reconsider your detachment. YOU and I are the targets, and we always have been! * "Habeas corpus, Americans’ most sacred right, would be eliminated." * "The law would also remove all restrictions on police spying on citizens." * "Patriot Act II would create 15 new death penalties, one of which could be applied to acts of protest. Under the Hastert measure’s definitions, anti-war protesters could be deemed terrorists. In fact, any dissident could be spied on, harassed, and imprisoned indefinitely for exercising their legal and constitutionally protected rights." Now you know why police have been getting so tough lately on protestors, whether at a G-8 Summit or the Democrat and Republican Conventions. They were simply tuning up and getting ready for this next phase. According to these powers, native-born American citizens can be stripped of their Constitutional rights and be arrested on flimsy charges of being a "terrorist", tried in secret, tortured to any degree the government sees fit, without Judicial Oversight, and could even be secretly executed. This is the true face of a Kerry Presidency. Or a second term Bush Presidency. The next President of the United States will have all the Stalin-type dictatorial powers available to him which have been passed as a result of the 9/11 attacks. Whether the President is George Bush or John Kerry, the Plan calls for these laws to be enacted and enforced, at the scripted time. As Cutting Edge has always stated, the next terrorist attack -- which will precipitate the immediate enforcement all these laws -- will occur in conjunction with all planned events, and will occur in a very short time frame. Let us allow the Illuminati define this plan. * "Some people disappear" - reference to the Rapture of the Church, as alluded to above. Not one of these individual events will occur until all these events are ready to occur. As Biblical prophecy states, Israel is the key. Watch her carefully. Once she has effectively separated her populations, she will be ready to go to war. Once Israel is engulfed in the Middle Eastern wars, then all these other elements of the Illuminati Plan to stage their Antichrist will begin. Remember, all countries in which people are now voting for their government officials must be overthrown at the same time. For this goal, the Illuminati has created the global threat of terrorism. Governments will be turned into dictatorships by officials who had been elected, when these officials explain to their people that they must "temporarily" suspend their protective government systems until terrorism is vanquished. Of course, no such return to democracy or a Constitutional form of government will ever occur. WHAT SHOULD THE CHRISTIAN DO NOW? * Ever talked about Jesus on the phone or on the Internet -- The government has been intercepting huge numbers of phone calls and internet emails since the days of the Clinton Administration. Now that you know the government already has you identified as a "domestic terrorist", what should you do now? The answer: Stay The Course! * Verse 10 -- "No evil shall befall you"
* Verse 13 -- "You shall tread upon the adder"
* Verse 15 -- "I will answer ... will be with him in trouble ... will deliver him"
Truly, the End of the Age draws nearer. Are you spiritually ready? Is your family? Are you adequately protecting your loved ones? This is the reason for this ministry, to enable you to first understand the peril facing you, and then help you develop strategies to warn and protect your loved ones. Once you have been thoroughly trained, you can also use your knowledge as a means to open the door of discussion with an unsaved person. I have been able to use it many times, and have seen people come to Jesus Christ as a result. These perilous times are also a time when we can reach many souls for Jesus Christ, making an eternal difference. Copyright © 2004 Cutting Edge Ministries. All rights reserved. This password protected article and its contents are protected under the copyright laws of the United States and other countries. This article is provided by subscription only for use by the subscriber and all other rights are expressly reserved by the copyright owner. Copying and pasting this article, in whole or in part, into e-mails or as attachments to e-mails or posting it on the Internet is strictly prohibited and may subject the offender to civil liability and severe criminal penalties (Title 17, United States Code, section 501 and 506).